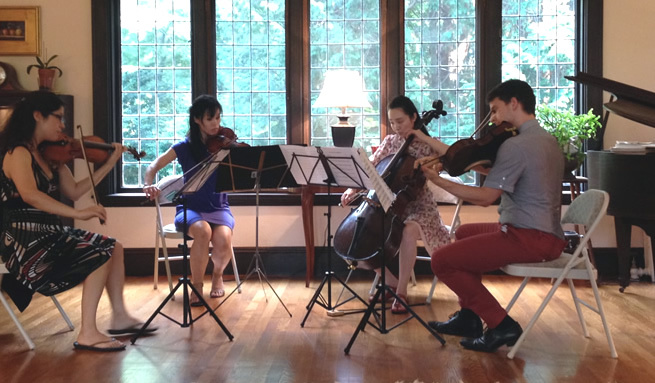 Donating rehearsal space is a great opportunity to enjoy some free music in your house and get a behind-the-scenes peek into what goes into the creative process of MSCM concerts. You’ll get the chance to listen to how musicians collaborate and experience how we explore the nuances of classical music. If you have a room in your house that would be big enough to fit around 4-5 people and you would enjoy having the sounds of classical chamber music flow through your home, then we would love to talk to you.